In Welsh legend, Cerridwen represents the crone, which is the darker aspect of the goddess. She has powers of prophecy, and is the keeper of the cauldron of knowledge and inspiration in the Underworld. As typical of Celtic goddesses, she has two children: daughter Crearwy is fair and light, but son Afagddu (also called Morfran) is dark, ugly and malevolent. Cerridwen has powers of prophecy, and is the keeper of the cauldron of knowledge and inspiration in the Underworld. There are theories among some scholars that Cerridwen's cauldron is in fact the Holy Grail for which King Arthur spent his life searching. Her magical cauldron held a potion that granted knowledge and inspiration — however, it had to be brewed for a year and a day to reach its potency. 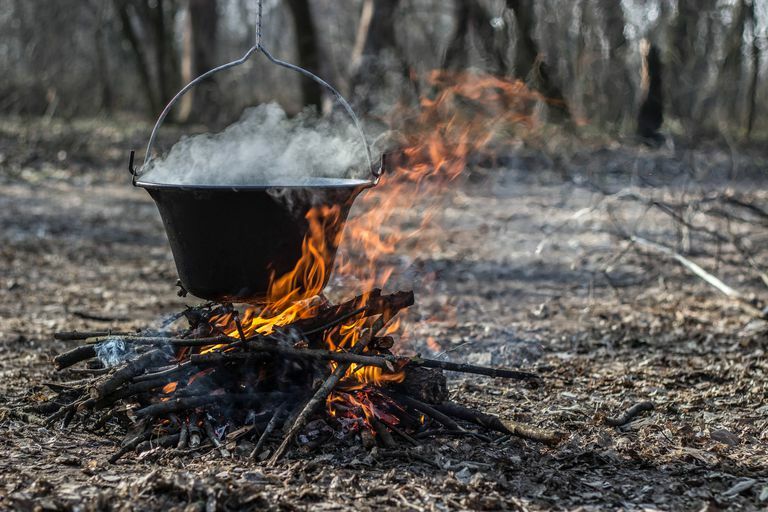 In one part of the Mabinogion, which is the cycle of myths found in Welsh legend, Cerridwen brews up a potion in her magical cauldron to give to her son Afagddu (Morfran). She puts young Gwion in charge of guarding the cauldron, but three drops of the brew fall upon his finger, blessing him with the knowledge held within. Cerridwen pursues Gwion through a cycle of seasons until, in the form of a hen, she swallows Gwion, disguised as an ear of corn. Nine months later, she gives birth to Taliesen, the greatest of all the Welsh poets. The legend of Cerridwen is heavy with instances of transformation: when she is chasing Gwion, the two of them change into any number of animal and plant shapes. Following the birth of Taliesen, Cerridwen contemplates killing the infant but changes her mind; instead she throws him into the sea, where he is rescued by a Celtic prince, Elffin. Because of these stories, change and rebirth and transformation are all under the control of this powerful Celtic goddess. Cerridwen's magical cauldron held a potion that granted knowledge and inspiration — however, it had to be brewed for a year and a day to reach its potency. Because of her wisdom, Cerridwen is often granted the status of Crone, which in turn equates her with the darker aspect of the Triple Goddess. As a goddess of the Underworld, Cerridwen is often symbolized by a white sow, which represents both her fecundity and fertility and her strength as a mother. She is both the Mother and the Crone; many modern Pagans honor Cerridwen for her close association to the full moon. "When Cerridwen calls your name, know that the need for change is upon you; transformation is at hand. It is time to examine what circumstances in your life no longer serve you. Something must die so that something new and better can be born. Forging these fires of transformation will bring true inspiration into your life. As the Dark Goddess Cerridwen pursues her version of justice with ceaseless energy so can you breathe in the power of the Divine Feminine She offers, planting your seeds of change and pursuing their growth with a ceaseless energy of your own." The stories of Cerridwen found within the Mabinogion are actually the basis for the cycle of Arthurian legend. Her son Taliesin became a bard in the court of Elffin, the Celtic prince who rescued him from the sea. Later on, when Elffin is captured by the Welsh king Maelgwn, Taliesen challenges Maelgwn's bards to a contest of words. It is Taliesen's eloquence that ultimately frees Elffin from his chains. Through a mysterious power, he renders Maelgwn's bards incapable of speech, and frees Elphin from his chains. Taliesen becomes associated with Merlin the magician in the Arthurian cycle. In the Celtic legend of Bran the Blessed, the cauldron appears as a vessel of wisdom and rebirth. Bran, mighty warrior-god, obtains a magical cauldron from Cerridwen (in disguise as a giantess) who had been expelled from a lake in Ireland, which represents the Otherworld of Celtic lore. The cauldron can resurrect the corpse of dead warriors placed inside it (this scene is believed to be depicted on the Gundestrup Cauldron). Bran gives his sister Branwen and her new husband Math — the King of Ireland — the cauldron as a wedding gift, but when war breaks out Bran sets out to take the valuable gift back. He is accompanied by a band of a loyal knights with him, but only seven return home. Bran himself is wounded in the foot by a poisoned spear, another theme that recurs in the Arthur legend — found in the guardian of the Holy Grail, the Fisher King. In fact, in some Welsh stories, Bran marries Anna, the daughter of Joseph of Arimathea. Also like Arthur, only seven of Bran's men return home. Bran travels after his death to the otherworld, and Arthur makes his way to Avalon. There are theories among some scholars that Cerridwen's cauldron — the cauldron of knowledge and rebirth — is in fact the Holy Grail for which Arthur spent his life searching. How Do I Know if a Deity Is Calling Me?